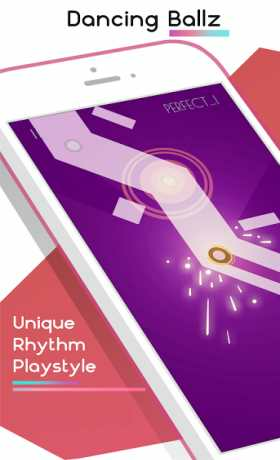 Dancing Ballz: Music Line is one of many ball games & dancing games which combine fast-paced gameplay with high-quality soundtracks. 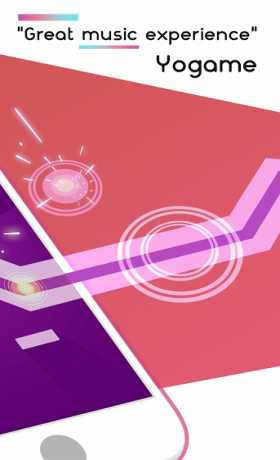 This game will create the whole new experience for music game’s lovers who like the simple gameplay as the tapping games. Playing this is simple, the key is not to watch for deeps and turns only, but also listen to the music and tap at the right time. Come on! Test your reflexes and rhythm skills! Feel the rhythm and every beat, then “let the music show you the way”. This is truly the dance games to challenge your friends. 1. Listen to the music, and tap to jump or switch the line play. 2. 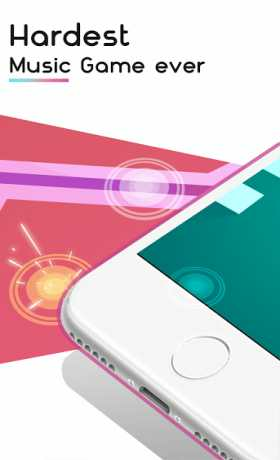 Tap the screen when “the ball” reach “the rings” – the signs tell you to make a move. 3. Just follow the path and rhythm, remember not to fall off. There are many checkpoints in a song to help you get back quickly, but don’t waste your life. “One Tap One Tune” – It’s the simple one tap only. You will never have to use 2 fingers at a time. Be sure to get your friends to play with and see who can be the best tapper! – Finish a song to unlock a new one. There are a lot of free edm songs waiting for you. – Let the music guide you through darkness and spin you around! More variation of balls and lines are coming, make sure you know how to “dance” with this tap games! Let’s dance and enjoy every music beat now for free! Make sure to catch up the new trend & new games 2017!